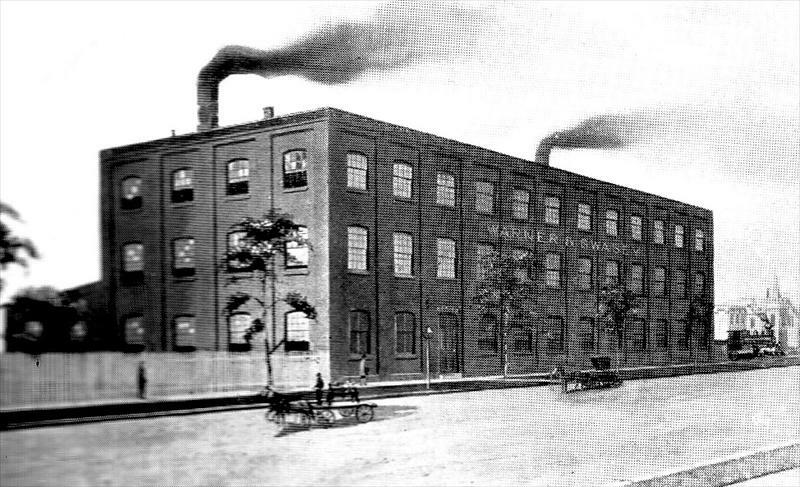 This machine-tool maker was founded in Chicago, IL, in 1880 as Warner & Swasey by Worcester Reed Warner and Ambrose Swasey. They had worked together at Pratt & Whitney. In 1881 they moved to Cleveland, OH to be located near a major customer. In 1900 they incorporated as the Warner & Swasey Co., a name it kept until it was acquired by Bendix Corp. in 1980. Worcester R. Warner, of the Warner & Swasey Company, was born at Cummington, Mass., in 1846. Although a farmer's son and denied a college education, he had access in his own home to an admirable library, which he used to great advantage. When nineteen years old he went to Boston and learned mechanical drawing in the office of George B. Brayton. Shortly afterwards he was transferred to the shop at Exeter, N. H., where he first met Ambrose Swasey. Mr. Swasey was born at Exeter, also in 1846, went to the traditional "little red schoolhouse," and learned his trade as a machinist in the shop to which Warner came. In 1870 they went together to Hartford, entered the Pratt & Whitney shop as journeymen mechanics, and in a short time had become foremen and contractors. Mr. Swasey soon gained a reputation for accurate workmanship and rare ability in the solution of complex mechanical problems. He had charge of the gear department, and invented and developed a new process of generating spur gear teeth, which was given in a paper before the American Society of Mechanical Engineers. Mr. Warner, also, became one of the company's most trusted mechanics, was head of the planing department, and had charge of the Pratt & Whitney exhibit at the Centennial Exposition in Philadelphia. In 1881 they left Hartford and went first to Chicago, intending to build engine lathes, each putting $5000 into the venture; but finding difficulty in obtaining good workmen there, they moved in about a year to Cleveland, where they have remained. Their first order was for twelve turret lathes, and they have built this type of machine ever since. 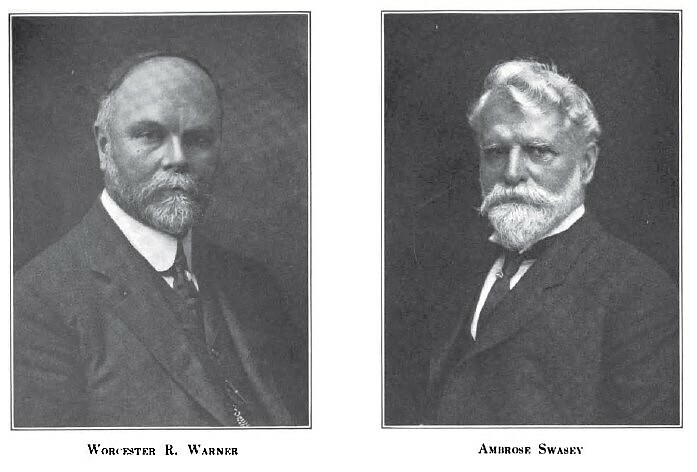 The Wikipedia page on Warner & Swasey provided most of the history information given here.